From the porch in Terlingua I noticed a converted bus in front of the art gallery… not too unusual. 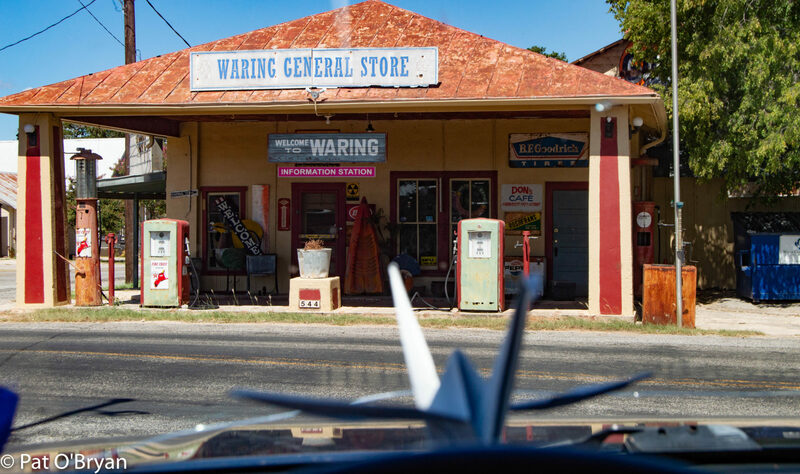 Terlingua attracts all sorts of alternative living people and out here a bus is not an unusual structure for a home. The only unusual part was that apparently this bus actually runs. I wandered over and met Guisepi, Mr. Tea, the free tea guy. Very quickly, I realized that he was a very special guy with an amazing mission. A former film editor from L.A., Guisepi has been on the road for 9 years, giving away tea and searching for authentic human interactions. His story is fascinating, his philosophy is inspiring, and he makes a darn good cuppa. 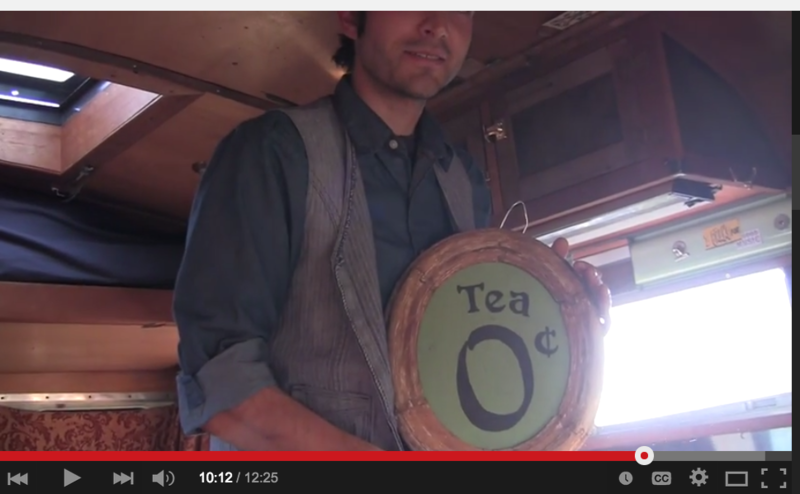 He lives in and serves tea out of a converted school bus that runs on recycled vegetable oil. He gets his food where he can- sometimes from dumpsters- and he eats well. His bus is a work of art, beautifully designed and trimmed out with old-growth redwood. Although he’s about half my age, I learned a lot from Guisepi. He’s very well read, a deep thinker, and has managed to create a healthy and sustainable lifestyle that ignores commercial transactions. A few days later, Betsy and I met Guisepi and Edna Lu, his bus, near the ghost town, to get his story on video. Below are the five segments that make up the hour-long conversation we had. It’s worth watching.